One of the quickest methods for a company to raise working capital or retire debt is by completing an equipment sale leaseback financing on the equipment and machinery the business currently owns. Sale leaseback financing has three main components. You sell your equipment to a finance company (The Lessor), who in turn agrees to lease the equipment back to you (The Lessee) without interruption of use for an agreed upon monthly payment (The Rent). Advance amounts will vary depending on financial, credit, and collateral review. An equipment sale leaseback provides options to companies seeking to increase liquidity, optimize cash flow, and improve balance sheet presentation. For businesses that need flexibility in structuring financial matters, leveraging the equity in your current assets is a strategic way to procure capital for growth or restructuring. We work with a variety of companies that may not be familiar with how this process works, or completely understand what sale leaseback financing is. Regardless of your situation, we help simplify the process and work to structure a solution to meet your needs. An equipment sale leaseback, often called an equipment sale and lease back, is a financing transaction in which a company will sell its currently owned essential use equipment and machinery to an investor (lessor) and upon closing, without interruption, immediately lease (rent) the equipment or machinery back for a specified period of time. The company (lessee) will continue to use the equipment and machinery without interruption, but no longer owns the equipment or machinery. According to FASB (Financial Accounting Standards Board) – “A sale-leaseback transaction involving real estate, including real estate with equipment, must qualify as a sale under the provisions of FASB Statement No. 66, Accounting for Sales of Real Estate, as amended by this Statement, before it is appropriate for the seller-lessee to account for the transaction as a sale. If the transaction does not qualify as a sale under Statement 66, it should be accounted for by the deposit method or as a financing.” See the FASB summary here and the FASB ammendment here and the FASB 13 overview here. How does an equipment sale leaseback work? An equipment sale leaseback is a straight forward financing transaction in which a company that currently owns essential use business equipment and machinery decides to sell its assets to an investor and in return enters into a lease agreement to make rental payments for a specific period of time. The current owner of the equipment becomes the Lessee and the Investor becomes the Lessor. What are the short and long term financing goals/needs of the company? What is the current and historical financial position of the business? Do you need a short term (bridge financing) or long term lease agreement? When did you acquire the assets? What did you pay for the assets? Is there a lien against the equipment and machinery or are they unencumbered? Do you prefer off balance sheet financing (Operating Lease) or debt financing (Capital Lease)? Once we have collectively determined which sale leaseback solution is best suited for your business a Proposal will be issued which will outline the general terms of the transaction. Upon acceptance of the Proposal by both parties the due diligence process will begin. An independent third party appraisal will be ordered on your behalf, which you will pay for upfront, to determine the assets Fair Market Value (FMV), Orderly Liquidation Value (OLV) and its Forced Liquidation Value (FLV). You will be entitled to a copy of the appraisal upon completion. The appraisal process can usually be completed in 3 to 5 days depending on the number of locations and assets. Which value do you use as a basis for the advance? This will depend on several factors… If your company is a bankable credit and the equipment was acquired in the past few months, Fair Market Value is possible. For most others, the Forced Liquidation Value (FLV) is the norm. The investor that provided you the Proposal will finalize the closing documents and send the docs to you for legal review and signature. Funding can take place usually the same day original signed documents are returned to the investor. The entire process can happen in as little as 10 days to 3 weeks depending on how quickly or slowly you wish to move…. Let’s face it, banks are being regulated to death ever since the financial collapse of 2008. As such, obtaining financing from a bank has become extremely difficult for most small business owners and middle market companies. Historically banks prefer NEW equipment acquired with the last 90 days, not USED equipment acquired over the past few years. As such, obtaining an equipment sale leaseback for used equipment, which is generally the case, is virtually impossible unless you are an exceptional credit risk. This is generally where you will find the most competitive equipment sale leaseback solution for your company. Why? Simple – Independent finance companies do not have all the regulations imposed upon them that banks do and are usually able to customize a solution that will most effectively meet your financing needs. 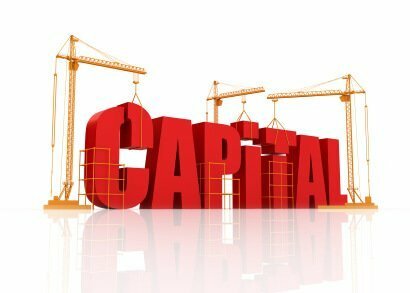 Typically the cost of capital will be higher than a bank, but they excel in creative structuring and can close your deal in few weeks. The private lender category can include a variety of potential partners including high net worth individuals, family offices, private investment groups, etc… Private lenders are going to cost more than banks and independents, but they excel in speed and creative structures. They can typically provide both short term equipment bridge financing and hard money equipment financing solutions and will usually look exclusively at the collateral, not your credit. They can generally close your deal in a matter of days, not weeks. So how do I know which one to chose? We usually recommend to our clients to reach out to your existing bank relationship and explore the bank option first. We respect relationships… If they can’t help, give us a call and we will help facilitate the financing with our independent and private investment groups. When your company is considering completing the process of an equipment sale leaseback, we are here to help and work across all industries and equipment types.